Does GAad exist? UPDATE – turns out that he does! UPDATE: Hypotheses are there to be tested and if you read the comments below you’ll see that my hypothesis “G. Aad does not exist and is a clever, made-up first author by the ATLAS team at CERN” has been falsified. Such is the way of science, it was a nice idea but we have to move on to new challenges: over at the Dynamic Ecology blog, Brian McGill is fairly certain that Dr Van in the paper Vincent, Van & Goh (1996) is made up…..
Dublin. Guinness. Science. It’s a heady mix and invariably under such circumstances, scientists turn their conversation to the big questions that matter, including the use of surreptitious humour in scientific publications. In the bar at University College Dublin this evening, where I’m currently external examiner for their BSc Environmental Biology course, a small group of us traded examples that we knew of: barmen and vineyard owners named in the acknowledgements; pet dogs as co-authors; unwitting funders thanked; hidden references to hard drugs; made-up ecology listed in book indices and on Wikipedia; kids thanked for field assistance; camouflaged side swipes at rivals. There’s a long list, but the biggest question for me, and one which I’ve wanted to write about for a while, is: does G. Aad exist? Clearly the ATLAS team has listed the collaborators on each paper alphabetically, beginning with G. Aad, and with the UK’s most high-profile physicist, B.E. Cox, part-way down. But whilst Professor Brian Cox certainly exists, G. Aad just seems a little too convenient, akin to Aadvark Electricians in printed phone book listings, when such things mattered. Too convenient and too……clever: G. Aad…..GAad…..Gaad…..God…..geddit? An appropriate first author for publications from the team that has been searching for the God Particle. But Dr Aad does not appear as a bona fide member of staff on the websites of any of the institutions where he is credited as working and I suspect that he is fictitious. So unless someone knows different, I’d like to suggest this as one of the best examples of hidden humour in the science literature. Gardening and gardens are a long-standing interest of mine, as I’ve mentioned in a few posts, such as “Harvest of evidence” and “In defence of lawns“. At the moment the RHS Chelsea Flower Show is running and medals are being awarded to gardens and plants, some of which I like, some of which I don’t: make up your own mind from this gallery of images taken around the show. But nature often trumps us when it comes to aesthetically pleasing plant combinations. The photograph above (which you can click to see a larger version) was taken in the Anagas Mountains during our recent Tenerife Field Course. 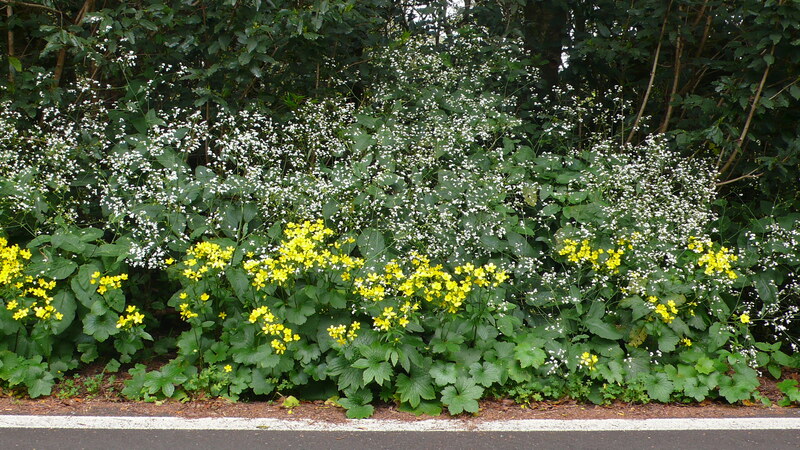 Although it’s along a roadside, these two plants have grown there spontaneously – nature as gardener! 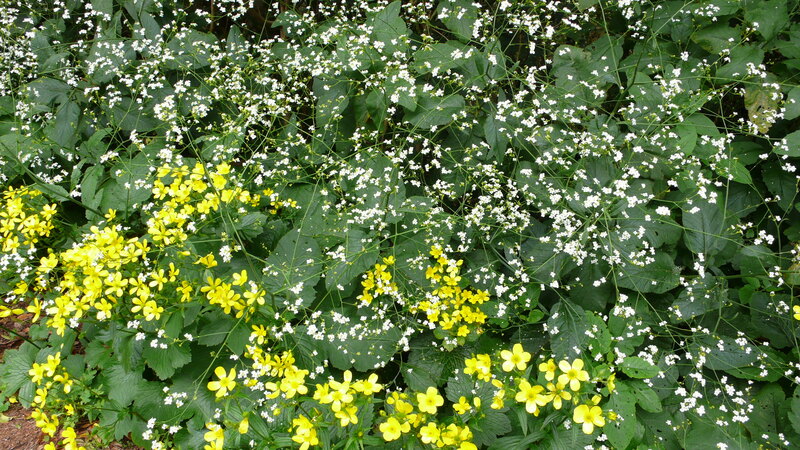 The plants are both endemic Macaronesian species: the billowy white flowers of a Canary Island sea kale (Crambe strigosa) found only on Tenerife and La Gomera, spill over the vivid yellow blooms of a large buttercup (Ranunculus cortusifolius, from the Canary Islands and the Azores). Now, back to the coal face….. 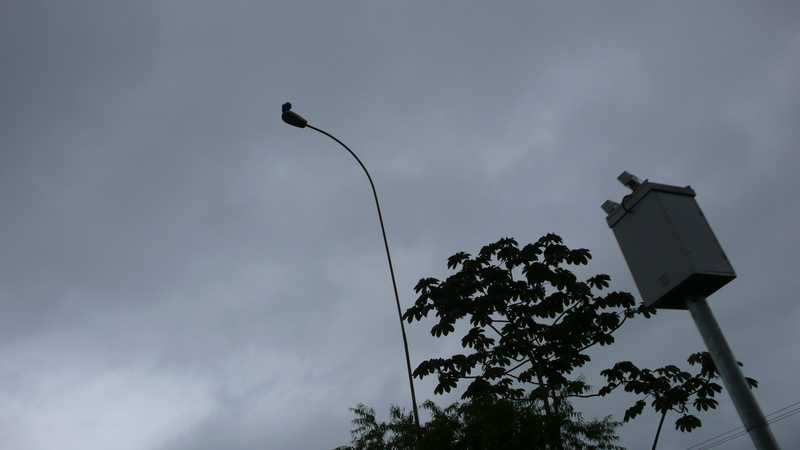 Guest blogging: Are species interactions stronger and more specialized in the tropics? In hushed tones the narrator describes the intricate details of yet another highly specialized relationship between one species of indescribable beauty and a second species with intricate behaviour that is about to eat/infect/cooperate with/exploit it [delete as appropriate]. Yes, the tropics are special. But how special? 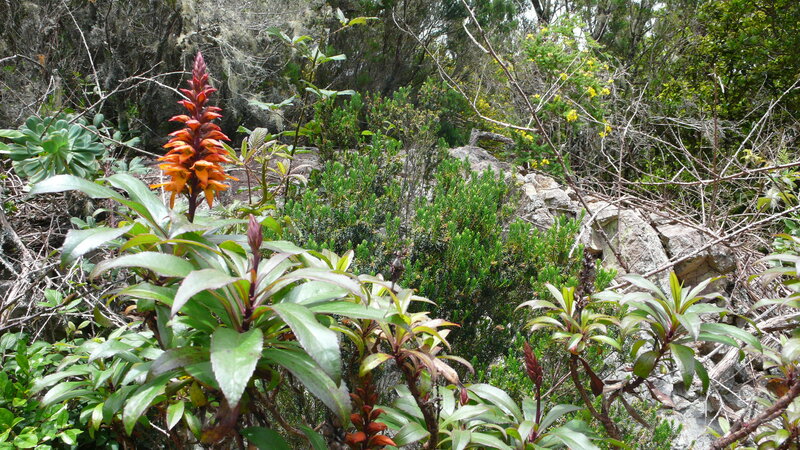 Or more to the point, how different are tropical communities to temperate communities? 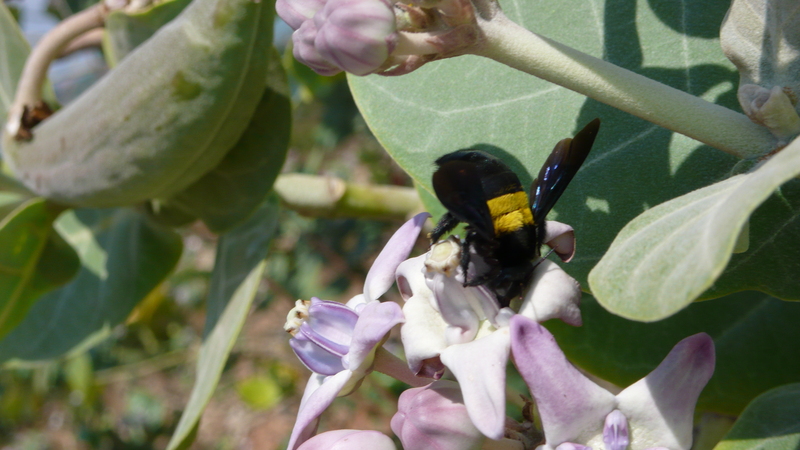 Over at the Dynamic Ecology blog, Jeremy Fox has invited Angela Moles and myself to contribute a guest blog on the subject of whether the idea that species interactions are always stronger and more specialized in the tropics is outmoded and not backed up by the evidence. In Jeremy’s parlance, is it a zombie idea? 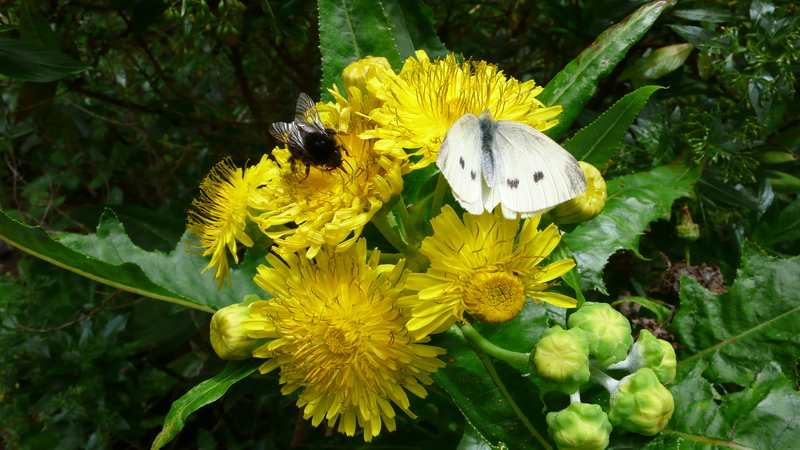 The subject of latitudinal variation in species interactions is one that has interested me for a while and I’ve written a few papers on the topic, especially in relation to how plant-pollinator interactions vary with latitude. You’ll find references to some of them in the Dynamic Ecology piece, plus a fuller over view of our arguments. So what are you doing reading this? Get over to Dynamic Ecology and read that! 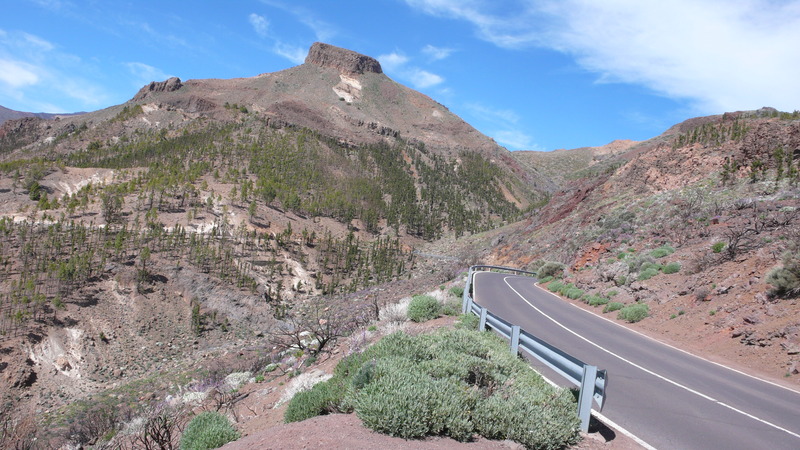 On Sunday I arrived back in Tenerife with my students for our annual field course. This is now my 14th trip to the island and James Taylor’s song Fire and Rain provides an apt soundtrack to some of what we’ve seen during our current stay on Darwin’s Unrequited Isle. 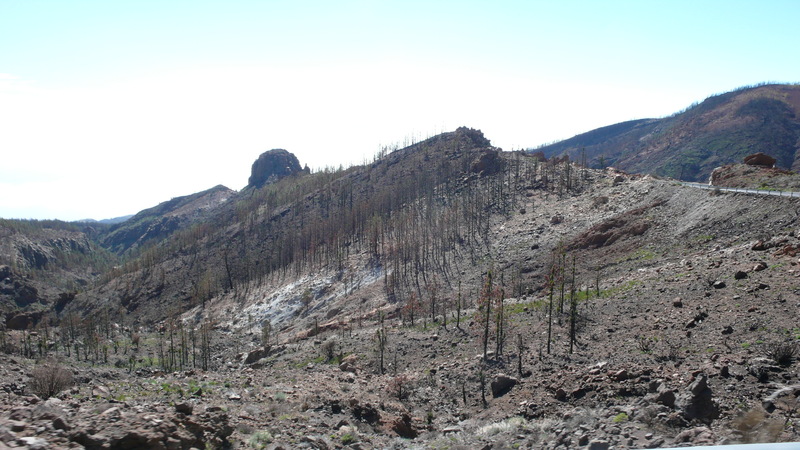 James Taylor’s song is about loss and grief; but from fire and rain also comes new life and new beginnings, a positive environmental stimulus for the endemic biodiversity of Tenerife. 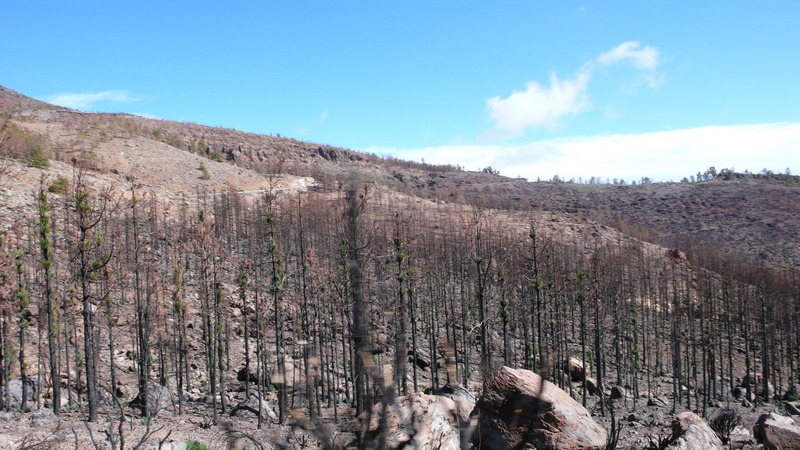 The fire has opened up the vegetation, allowing seeds to germinate, and the winter rain has stimulated growth and flowering in these summer-drought habitats. But I always thought that I’d see you again.